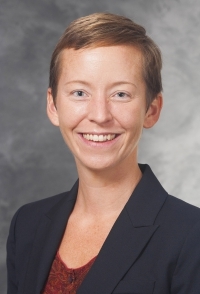 Emilia Tjernström is an Assistant Professor of Public Affairs and Agricultural & Applied Economics with research interests in development economics, behavioural economics, political economy, and environmental and resource economics. Her research employs econometrics, field-, and lab-in-the-field experiments to study technology diffusion, food security, and the impact that heterogeneity has on the success and optimal design of public policy. She has ongoing projects in Kenya, Nicaragua, and Fiji. Tjernström earned her B.A. in economics from Colby College and her M.S. and Ph.D. from the Department of Agricultural and Resource Economics at the University of California, Davis. She received the 2015 Goldon A. King Award for Best Dissertation from all University of California-Davis Agricultural and Resource Economics PhD dissertations filed in 2015. The title of her dissertation was "Identifying Heterogeneity in Rural Development Impacts: The Effects of Time, Space and Selection."